Once more there is a General Election. I’m rather tired of elections, but it could have been worse. I could be writing once more there is going to a Scottish independence referendum. A few weeks ago indyref2 appeared to be getting closer by the minute. Then it got kicked into the long grass by Theresa May telling Nicola Sturgeon that she would have to wait. Now the whole thing may depend once more on the outcome of the General Election. It’s time to think clearly. There are only two people who can become Prime Minister. Either we keep Theresa May or gain Jeremy Corbyn. We know from past experience that opinion polls and betting odds are a poor indicator of the future. They are about as accurate as weather forecasts and just as likely to give you a surprise. For this reason it’s necessary to accept that Labour could win the General Election. What would happen if they did? Given the present political makeup of the UK, it is basically impossible for Labour to win an overall majority. They have one seat in Scotland. This means that for Labour to govern they would require the support of other parties. This might or might not be a coalition. It doesn’t matter. Relying on the votes of other parties informally is still relying on them. If Labour had to depend on the votes of other parties it would have to make concessions to them whether there were a formal coalition or not. Which other parties would Labour depend on? Whose votes and MPs would Labour need to form even a minority government? Well obviously this would depend on the result. However it is worth noting that the Lib Dems have nine seats while the SNP won fifty six seats in Scotland in 2015. Realistically this means that in order for Labour to rule they will require the support of the SNP. This was the case during the last election campaign in 2015 when the SNP had only six seats. It is still more the case now. Simple arithmetic tells us that Labour cannot win on its own. A Labour victory might not mean a coalition with the SNP. Whatever the parties say now, we would only find out if there were to be a “Progressive coalition” involving the Labour, Greens, SNP and Lib Dems when the General Election is finished. But whatever arrangement came about whether it was called a coalition or not, it would require some sort of deal. What do you suppose the SNP price would be? 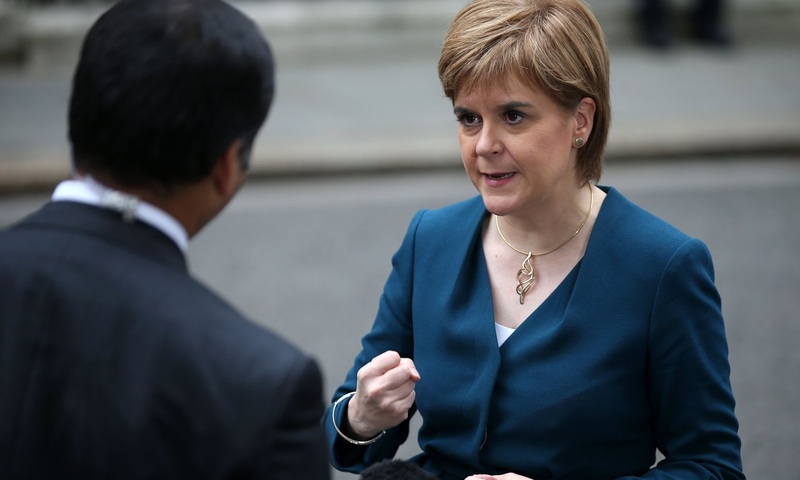 What does Nicola Sturgeon want most in the world? I cannot imagine Jeremy Corbyn being as firm with her as Theresa May has just been. This is not least because Corbyn has recently said he was “absolutely fine” with indyref2. This is a man who apparently has such a loathing of Britain that he consistently sides with our enemies. He would be delighted if Northern Ireland left the UK. Perhaps he would be equally delighted if Scotland left too. But even if he were the firmest of leaders, if his party depended on SNP votes to rule, what choice would he have but to agree to Sturgeon’s demands? This is the logic which saw Ed Miliband depicted as a puppet on the end of SNP strings. It applies still more so today. If you want to keep indyref2 in the long grass, therefore you had better hope that Theresa May remains Prime Minister. It is likely that this hope will be fulfilled. I cannot imagine a time when the British public elect a far left Trotskyite IRA/Hamas sympathiser to lead them. Labour Party MPs themselves have frequently tried to get rid of him. They have in huge numbers expressed that they have no confidence in Mr Corbyn? Now these same MPs are trying to persuade us that the British public should nevertheless have confidence in him leading our country. This strikes me as just a tiny bit hypocritical. Labour MPs may eventually get their wish. If Labour loses badly, even if Labour loses at all, surely Corbyn would go then. Or would he? No doubt the majority of Labour Party members would still vote for him to lead their party. I sometimes think the problem with Labour is not so much its MPs, many of whom are quite sensible, but its supporters, most of whom are not. It is simply not sensible to elect Jeremy Corbyn as your leader, not once, but twice. The British public do not want socialism. We never have. When Labour has been moderate it has periodically been elected. Until Labour Party members come to accept that socialism is the problem rather than the solution, they will find themselves outside the mainstream pushing towards the edge of the extreme. By ditching socialism and becoming a social democratic party Labour may deserve another chance. But until that happens voting for the far left is as irresponsible as voting for the far right and morally as dubious. 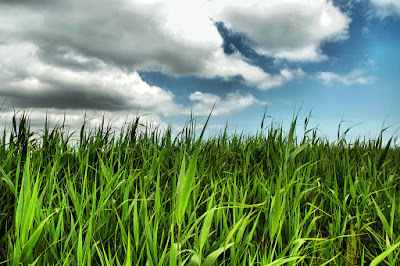 Even if Theresa May remains Prime Minister, even if she increases her majority this may not be enough to keep indyref2 in the long grass. This will depend partly on how the campaign goes and the main issues that arise. Obviously Brexit is still a main UK wide issue. Theresa May is looking for a mandate for her approach to leaving the EU. Perhaps this will also be an issue also in Scotland, but whatever people’s various views on the EU, there is still only one issue that dominates Scottish politics and it is not Brexit. Until recently momentum was building towards indyref2. It was unstoppable. Then it stopped. Theresa May said “No, not yet, you are going to have to wait”. Finally someone was firm with Scottish nationalism. A Prime Minister said "No" and Sturgeon found herself impotent. That’s where we are now. Theresa May can theoretically maintain this position for years. The SNP have no right to an independence referendum whenever they want. The right to self-determination in international law is balanced by the right of nation states to maintain their territorial integrity. No-one thinks that the USA must allow its various parts to leave by means of a vote. Nor indeed does international law require any Western democracy to grant a constituent part a vote on independence. There is hardly a single one that would. The reason is that the international law regarding self-determination was developed in the context of decolonization and simply does not apply to long-standing democratic nation states. SNP supporters who continually go on about self determination likewise appear unaware the fact that Scotland by a large majority decided to stay in the UK was in itself an act of self-determination. We did determine, because we did choose. Most commonly such historical choices are seen as once and for all. To continually re-run such votes would lead to international instability. However, although it would be possible and certainly legal for the UK Government to decide that the UK was constitutionally indivisible and that therefore there would never be indyref2, it is unclear that this is politically acceptable and fitting in with our traditions. 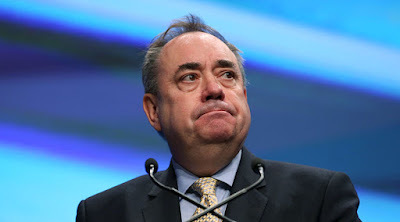 Given enough support for the SNP over a sustained enough period, it is unlikely that a UK Prime Minister would continue to block indyref2 indefinitely. “This isn’t Spain, you know”. We govern with consent. Scottish voters can either help Theresa May maintain her “not yet” stance or we can hinder her. It has never been more vital for Pro UK people to show Theresa May that we support her response to Nicola Sturgeon’s indyref2 demands. But doesn’t voting for any Pro UK party show that we support Theresa May’s stance. No obviously not. Voting for Labour or the Lib Dems is a vote to kick Theresa May from office. This is not usually described as support. Quite the reverse. Voting for Labour or the Lib Dems in Scotland is not going to help the situation. Neither of these parties can rule on their own. Each would require the votes of the SNP. Remember when Labour had nearly all the seats in Scotland. The SNP still used this fact to justify independence on the grounds that England voted Tory, while Scotland voted Labour. 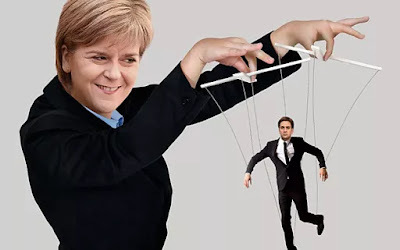 Both the Lib Dems and Labour favour giving still more powers to the Scottish Parliament while loosening still further the bonds that hold the UK together and calling the result federalism. Both the Lib Dems and Labour are responsible for starting the whole mess that is now called Scottish politics by demanding that we have a Scottish Parliament in the first place. It was Labour who first played the nationalist card by saying that Conservative rule was illegitimate in Scotland because we didn’t vote Conservative. This card then destroyed them. There is only one truly Pro UK party in Scotland. Only if we vote for the Conservatives do we show that we support the stance that Theresa May has taken about indyref2. The Conservatives are in second place at the moment in Scotland. Every vote increases their share of the vote so that it becomes closer to the share that the SNP holds. If the Conservatives could increase their seats even by a few it would show that the SNP were past their peak and that Theresa May’s “not yet” stance is popular. Rising support for the Conservatives can be used by the Prime Minister to continue her block. Conversely if the Conservatives did badly in Scotland it might be difficult for her to maintain this stance as long as she wishes. In this election I don’t believe in tactical voting. 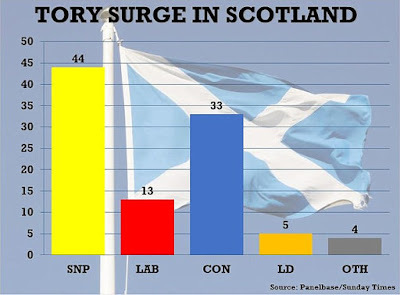 It amounts to propping up the declining Labour and Lib Dem vote when polling suggests that Conservative candidates have the best chance of defeating the SNP all over Scotland. Voting for the the Lib Dems or Labour hinders the key Pro UK goal of creating a united opposition that could go on in time to defeat the SNP. 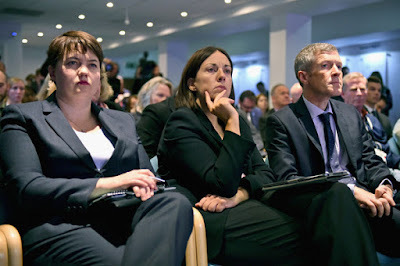 Moreover, every single Labour or Lib Dem MP is potentially part of a loose “progressive” coalition containing the SNP. The price of this so called progress would be indyref2. If a Conservative votes tactically for a Labour or a Lib Dem MP, it could be this MP's vote that gives the Lib/Lab/SNP pact the majority needed to topple Theresa May and Sturgeon the leverage she needs to demand indyref2. Obviously I would prefer any Pro UK MP to be elected rather than a Scottish nationalist, but I don’t intend to spend the whole election attacking only the SNP. This negativity hurts the Pro UK cause. I will campaign positively for what I believe and vote for the party that I prefer. I suggest that you do likewise. But remember if all Pro UK voters united behind the Conservatives we would surpass the SNP and there would be no danger of our facing a divisive and damaging second independence referendum. It's time to stop voting tribally. It's time to vote for the party that has the best chance of standing up to Scottish nationalism. I tire of the Scottish electorate. Huge numbers of Scots who don’t want independence or don’t want it anytime soon still vote for a party that would like to have indyref2 next year. If you don’t want independence, never vote for the SNP. It’s as simple as that. Huge numbers of Pro UK Scots were delighted when Theresa May stood up to Nicola Sturgeon, but many if not most will still say, I couldn’t vote for a Tory. Scottish politics is distorted. The vast majority of Scots vote for left of centre parties. It is this that justifies the SNP’s claim that England votes for the Right while we vote for the Left. Only when there is a Left/Right balance in Scottish politics will we once more be safe from Scottish independence. We can bring that day nearer in only one way and that is by voting for the Conservatives. A vote for any other party helps the SNP. Over the years I have had minimal interest in council elections. I simply want whoever runs the council to do their job as cheaply and efficiently as possible. Ideally I would like as little party politics as possible involved in how local services are run. I would much prefer it, for instance, if I put all my rubbish in one bin and that bin went out once a week. I don’t want my council to try to change the world. In fact I want them to do as little as possible, do that little well and charge me the smallest amount the can. However, in Scotland all elections are different. Every election is an expression of public opinion about the only political issue that matters to all of us. That is their importance and the reason why I intend to first write about the local election and then at a later date turn to the General Election. So long as public support for the SNP remains high the issue of Scottish independence will always be on the agenda. The key task for Pro UK people is to gradually whittle away at that support. The goal is first to create a strong opposition and then to take power away from the SNP. At present Theresa May has said that there will be no indyref2 any time soon (always use indyref2, the SNP don’t like it as it reminds them that they lost). The SNP will have to wait at least until Brexit is finished and we all have had a chance to see how it works in practice. This gives us some time. The ideal situation is to make the SNP go into the next Scottish Parliament elections in 2021 having to campaign explicitly for indyref2. Let all pro-independence parties make a clear, unambiguous manifesto commitment to indyref2 and see how the electorate responds. For too long the SNP have been pretending that a particular vote, in a General Election, or for the Scottish Parliament, is not about independence. They then later decide that it in fact was about independence. In fact all votes in Scotland are always only about independence. Theresa May can only maintain her “Not yet” strategy so long as Scottish public opinion allows her. It is crucial therefore that we take every chance to demonstrate that we agree with her. This is where council elections become important. They are not about bins, they are about the future of our country. The council elections in Scotland will take place on May 4th. The method of voting is by the Single Transferable Vote. This means that you can put a “1” in the box next to your first choice, “2” in the box next to your second choice etc. It is possible to have only one preference. Alternatively you can vote for as many or as few parties as you like. I don’t believe in negative campaigning, nor do I believe anymore in voting tactically in a First Past the Post General Election. I think voters should always vote for the party they support. I think campaigns to vote tactically against the SNP perversely help the SNP. The reason for this is that such campaigns are inherently negative and they get SNP supporters backs up. This encourages a “we will show them” mentality. At the last General Election I supported tactical voting. I was wrong. I think it contributed to the SNP winning nearly all the seats. I know that some people I like and respect will disagree with me about tactical voting. To an extent it depends on where you live. If a constituency is a marginal where only one of the Pro UK parties can challenge the SNP, then voters will naturally vote tactically. But elsewhere the vast majority of voters will not vote for a party they disagree with and rightly so. There is something dismal about it. Better by far to vote for a party you believe in. At least your choice is positive. However in a Single Transferable Vote context it is perfectly reasonable for me to express a preference. This is, after all, what this sort of voting is designed to show. Well I will be campaigning for the Conservatives, both locally and nationally. They will be my number one choice. I hope that they will gain the maximum number of council seats in Scotland. But I will use my 2nd and 3rd preference votes. The reason for this is that I want to maximise the Pro UK vote. These two preferences will go to the Lib Dems and Labour. I would far rather see Lib Dem and Labour councillors than those who support the break-up of the UK. Obviously if you support the Lib Dems or Labour, you might consider doing something similar with your party in first place and the other Pro UK parties in second and third. If there are any minor Pro UK mainstream parties left on my ballot paper I might put them as my 4th or 5th choice. This would depend on them being moderate and sensible. Also if I know for certain that an independent councillor is Pro UK such a person might be worthy of my vote. But above all it is vital that Pro UK people don’t vote for independence supporting parties at all. Better by far to leave a blank rather than add the SNP, the Scottish Greens or one of the far left independence supporting socialist parties. The Scottish Greens I think gain a certain degree of support from the fact that many voters are concerned about environmental issues. Because of this they think it won’t matter if I vote for the Greens. They won’t win power, but at least I have shown that I care about the environment. We have just seen how foolish this sort of thinking has turned out. The Scottish Greens won six seats at the last Scottish Parliament Election. They used those seats to support the SNP demand for indyref2. I strongly suspect that many Pro UK people voted for the Scottish Greens, perhaps not even being aware that they would support independence. The Scottish Greens themselves were vague in their manifesto about indyref2. They said that indyref2 should only happen if it was clearly the “will of the people”. It’s time that we taught the Scottish Greens a lesson. If their Scottish Parliament seats were spread between the Conservatives, Labour and the Lib Dems, there would be a Pro UK majority in the Scottish Parliament. Pro UK people must never vote for independence supporting parties. If you do, they will use your vote to push for independence. It baffles me frankly why the Greens should support Scottish independence. What has it to do with the environment? German Greens don’t support independence for Saxony. If the Scottish Greens could be shown that supporting independence is costing them votes, then they might change this policy. Environmentally concerned Pro UK Scots should show the Greens that supporting independence costs them votes. Long term I think the best chance of getting rid of the SNP as the party that governs Scotland is to vote for the Conservatives. I believe the Conservatives are the strongest Pro UK party in Scotland and the most committed to maintaining the UK. It would be better in the end if there were only one Pro UK party in Scotland. We could all then unite behind it. That party has to be the Conservatives. They have the best leader, both in Scotland and in the UK. They have shown strength in opposing the SNP and not giving into SNP demands. They deserve our thanks rather than our opposition. It is for this reason above all that I do not favour artificially maintaining the Lib Dem or Labour vote in Scotland by means of tactical voting in a First Past the Post General Election. It prevents us from reaching the goal of a Pro UK party eventually supplanting the SNP. If the same party ruled Scotland as the UK there would no longer be the argument that Scotland votes one way while the other parts of the UK vote another. The SNP are above all else the Tory hating party and use that hate to gain support. Pro UK people must show that this hate belongs in the 1980s and with a dead prime minister who hasn’t ruled for decades. If Scottish politics could once more be about a choice between centre left and centre right, as it was some decades ago, then we would have defeated the SNP. Long term I want Scotland to get back to normal party politics. My goal is that independence becomes a dead issue. But to do this we have to criticise each other. This is necessary in order to avoid being entirely negative only about the SNP. We should criticise what we disagree with across the board and be positive about the party we most support. Personally, I don’t believe that Labour can be resurrected in Scotland perhaps not in the UK either. Kezia Dugdale can't quite seem to quite make up her mind whether she really supports the UK and I've heard other Labour people claim that they would prefer independence to a "hard Brexit". Labour are too concerned with winning back their voters who defected to the SNP. 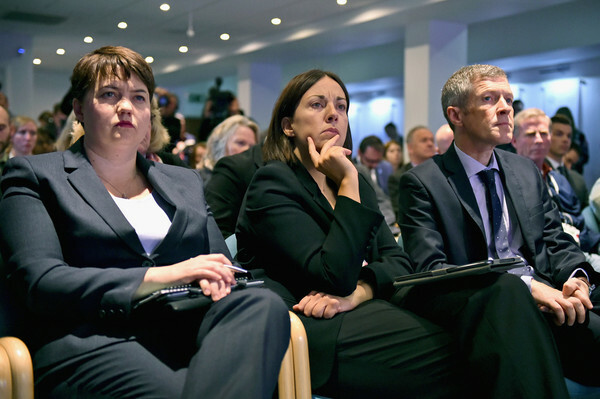 Their default position is to make concessions to Scottish nationalism. It is this mindset going back 30 or 40 years that has left us vulnerable to the SNP. The Lib Dems have become the Remain Party. Sorry folks this is a bit like being the Communist Party in East Germany after the Wall came down. In the end the little band waving red flags, longing for rule from the USSR, looked a little pathetic. Better by far to move on. It might in the short term bring some votes from disappointed Remain voters, but long term it is a blind alley. Campaigning to rejoin the EU, which would mean accepting Schengen, the Euro and national humiliation (Oh, please let us back, we can't manage on our own), is untenable. I also think that campaigning for a second EU referendum crucially undermines our position in Scotland. But then I have come across far too many Lib Dems who appear to prefer the EU to the UK and far too many who would like to weaken the UK's bonds still further and call it federalism. I think it would be far better if all Pro UK people voted Conservative. That is why they will be my number one choice. But I am willing to work with other Pro UK parties. We must agree to differ. We disagree on some issues, but for the most part still agree on the crucial issue of maintaining UK unity. I support the Conservatives, but will be pleased to see Labour or Lib Dem candidates win seats from Scottish nationalists whether of the green or yellow variety. For this reason I hope all Pro UK people use their Single Transferable vote to vote for other Pro UK parties as 2nd, or 3rd choices. But if there is one message that we should all communicate as widely as possible, it is this. Don’t express any preference for independence supporting parties. Nicola Sturgeon loves to make threats. How often have we seen her put on her angry face, screw up her fists and start talking in her thickest Ayrshire accent about what she will do if her demands are not met? Her colleagues follow the leader. Every few days we see a story in a newspaper involving the latest SNP threat. Perhaps they will do this. Perhaps they will do that. Many of these stories are, of course, just kite flying. They want to see how Scottish voters will react. They want to keep everyone guessing and make everyone nervous. Don’t be nervous. Don’t be worried about what the SNP will do to us. Rather let them begin to be worried about what we might do to them. The SNP have ruled Scotland since 2007. They reached the peak of their power in 2015 when they won nearly all the seats at the General Election, but they lost their overall majority in the Scottish Parliament in 2016. Who knows, they may win it back next time round. But then again they may not. Parties rarely remain in power for ever. Eventually voters want to give the other guy a chance, if only so that they can see someone else’s face. So who knows how Scottish voters may eventually respond to Nicola Sturgeon’s threats? Most of us don’t want indyref2 anytime soon, if at all. Well we live in a democracy. We might decide to respond to her threats by voting for someone else. If enough of us do so, there will be no more threats. There are other ways we could respond also. If the SNP get to fly kites so too can we. Look at the following as a thought experiment. I’m not sure if it is feasible or even desirable, but it is an option. There has been the suggestion from Scottish nationalists that they might hold an independence referendum without the permission of the UK Government. Apparently it might be possible for the Scottish Parliament to vote for this even though such a referendum is a reserved matter and therefore outwith the powers of a devolved parliament. I have no idea how serious this suggestion is. Let’s assume that some nationalists, perhaps Nicola Sturgeon herself, are considering this option. How might we respond? Well in my view Pro UK political parties should have nothing to do with this sort of illegality. They should not turn up at the Scottish Parliament for any such vote. They should moreover suggest that if the Scottish Parliament is to be used illegally, they might decide to never turn up again. The Scottish Parliament has not passed a law in the last year. It is turning into something of a talking shop with no purpose. Well one response from sensible political parties would be to ignore its existence. The UK Government could decide that if the Scottish Parliament is being used to do things that are illegal, indeed seditious, it would be better if it ceased to be. This could be carried out simply by repealing the Scotland Act of 1998. A simple majority of MPs at Westminster would be sufficient. This would be perfectly legal. What if somehow the SNP succeeded in organizing an unofficial/illegal independence referendum? Well such a referendum could only be advisory. Then again aren’t all referendums only advisory? The result of the EU referendum could have been rejected by the UK Parliament. So therefore, logically, could the result of the Scottish independence referendum of 2014. Likewise any second referendum result could be rejected. The UK Government then could promise that it would ignore the result of an illegal indyref2 on the grounds that the vote was illegitimate. How best should Pro UK Scots react to such an unofficial/illegal referendum? My view is that we should boycott it. Imagine if there were a debate about Scottish independence, but only Nicola Sturgeon turned up. Imagine if every single person in the audience was a Scottish nationalist. Imagine if there was no equivalent of Better Together. There was no Mr Darling making the case for the UK, no Mr Murphy standing on Irn Bru crates, no nothing. Imagine if people like me and also newspaper journalists ceased to write about the Scottish independence referendum apart from to remind Pro UK people to ignore/boycott it. What would be the result of such a campaign of ignoring what the SNP wanted? Would their referendum look more or less legitimate? Would anyone think that it advised anyone about anything? The ideal situation would be that that the SNP won 100% of the vote on a 40% turnout. If all of the Pro UK parties worked together we could achieve this for them. Sturgeon would have turned herself into Kim Jong-Nicola, the latest incarnation of “She who must be obeyed”. But she would not have achieved independence. Democracy requires an opposition. Without an opposition it ceases to be a democracy, but rather becomes a laughing stock. So let the SNP play by the rules. The mood in Scotland has changed. We don’t want a second independence referendum. We don’t want to go through all of that division and hate any time soon, if ever. I may only be kite flying, but there are things that Pro UK people could do that would make the SNP’s position untenable. We could delegitimise Scottish politics. Push too hard and my guess is that we might do just that. A short time ago it looked as if there would indyref2 within a year or so. I could feel the tension building within myself, I could sense it coming from others. If there were going to be another vote on independence next year, the campaign would begin more or less now. It would be another long and drawn out affair with the result uncertain to the end. All the old arguments would be repeated with new variants. I dreaded the prospect. It didn’t look as if anything could be done to stop this. Somehow an idea had developed in Scotland that you just couldn’t say “No” to Nicola Sturgeon. Apparently if you did something apocalyptic would happen. If a UK Prime Minister said “No” it would lead to something like the 1745 Rebellion. The clans would rise and support for Scottish independence would go through the roof. There is a lot of received wisdom put forward by journalists and others who apparently should be listened to. Much of it turns out to be quite wrong. Journalists often have access to sources that the rest of us don’t, but their ability to think is no better than anyone else’s. Sometimes it’s worse. They’ve been getting quite a lot of things wrong lately. Few political commentators thought that the Conservatives could win a majority at the last General Election. Perhaps fewer still thought that it was possible that the UK could vote for Brexit. Quite a large part of the media thought that a vote to leave the EU would lead to immediate economic disaster. Instead it has led to growth. Many journalists thought support for Scottish independence would rise, because we voted Remain while the majority of the UK voted Leave. Lots of journalists were until recently writing as if indyref2 was inevitable and it was happening soon. Theresa May wouldn’t dare say “No” and anyway Ruth Davidson would advise her not to. Now where are we? In First World War terms Nicola Sturgeon made her great push, but it got entangled in the barbed wire. Maybe Ruth Davidson was bluffing all along, but she came out in favour of blocking the latest SNP attempt to break up our country. Theresa May has stood firm. At the moment indyref2 has been kicked into the longest of grasses. Nicola Sturgeon is taking swing after swing, but she doesn’t actually even know where her ball is. Let the SNP spend the next few years looking for it. Meanwhile the rest of us can get on with our lives. The simple of tactic of telling Sturgeon that she would have to wait has proved effective. The UK Government has not said “No” rather they have said “Not yet”. Who knows when we will arrive at yet? It may be after the next Scottish Parliament elections, then again depending on the result it may be never. Has there been an uprising in Scotland? No. Quite the reverse. Pro UK Scots demonstrated to the Theresa May that we supported her stance. Hundreds of thousands of us signed a petition saying we didn’t want our lives disrupted by indyref2. This was crucial. This made a difference. It made more of a difference than anything I have ever written. Politics is about public opinion, which is expressed not only at elections. The SNP like to give the impression that they speak for Scotland. Pro UK people must continually show that they don’t. Each of us can contribute in different ways. But every Scot who shows that we agree with delaying, perhaps indefinitely, indyref2 helps Theresa May maintain that position. Of course some Scottish nationalists will be angry. That is after all their default position. But contrary to some expectations a Tory Prime Minister saying “Not yet” has not led to a surge in support for the SNP, nor has it led to mass demonstrations in the street, nor has it increased support for Scottish independence. Most Scots still don’t want indyref2 anytime soon and polls suggest the result if it were to happen would be the same as last time. Moreover I have noticed some Scottish nationalists who while maintaining their long term goal of independence have also recognised that the time is not right. This strikes me as sensible. Why not first do what we can to make Scotland more prosperous? Why not work hard to improve our schools and healthcare? Let’s see how negotiations work out between the UK and the EU. We just don’t know what sort of a trade deal we will get. Nor do we know the details with regard to a whole host of other matters that will affect all of our lives. There is enough uncertainty for the moment. I think some of the more rational Scottish nationalists are reasoning in this way and are willing to put off their goal for a few years. The relationship the UK has with the EU affects nearly every argument for Scottish independence. To debate now is to debate on shifting sands. On all sorts of issues such as the border, the currency and trade we have no idea what an independent Scotland would look like. If, for instance, the UK gets a free trade deal with the EU, would it really be in Scotland’s interest to leave the UK in order to remain a part of the Single Market? After all a free trade deal does not look all that different from the situation we have at present. If on the other hand the UK walked away from negotiations without a trade deal, would it really be in Scotland’s interest to prioritise trade with the EU over trade with other parts of the UK? We trade much more within the UK than we do with the EU. The point really is this. How can we possibly have the debate until we know how such matters will turn out? It is I think for this reason that some of the more sensible SNP voices have been taking the long view. Most Scots whether they want independence or not are content to wait. It makes sense. For this reason whereas a few weeks ago it looked like we would have indyref2 soon, now it doesn’t. It’s important however, that we don’t all go to sleep though. There may not be a new campaign for the next few years, but we should do what we can to prepare for one. Pro UK Scots working together at the grassroots level is crucial. The Scottish media rarely puts forward the crucial arguments that help us to defend the UK. Too many are defeatist. Too many share the assumptions of the SNP. But by working together grassroots campaigners can get that message across. There are local elections coming up in May. We should think about how we can use them to show Theresa May that we welcome her decision to tell Nicola Sturgeon “not yet”. Ruth Davidson has become I think the most effective defender of Scotland’s place in the UK. Now might be the time to show our support. I will continue to point out what I think are the disadvantages of Scottish independence. I will also, no doubt, write about the developing Brexit story. The key, I think, long term is to tell a better story about the UK than the Scottish nationalists can tell about an independent Scotland. Being positive wins. For this reason I am going to look forward with hope to how the UK will change for the better in the coming years. How we can become more prosperous and democratic. I will point out that inevitably the Scottish Parliament will gain more power because of Brexit as will every other Parliament in our country. I will tell a story about an open minded European country called the UK that will get on well with our neighbours and continue to welcome many, many people from elsewhere. If you are Pro UK like I am, I suggest that you join in with this story. It’s the one we need to persuade our fellow Scots who disagree with us.